Sends up tall, brightly coloured inflorescences bearing many pea-like flowers. 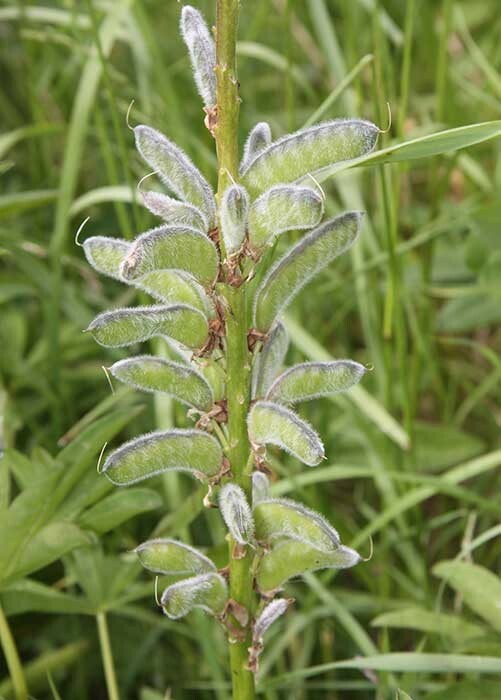 Leaves are green to grey-green in colour, hand-shaped, divided into five to eleven lance-shaped, stalked leaflets and sparsely covered with fine silky hairs. 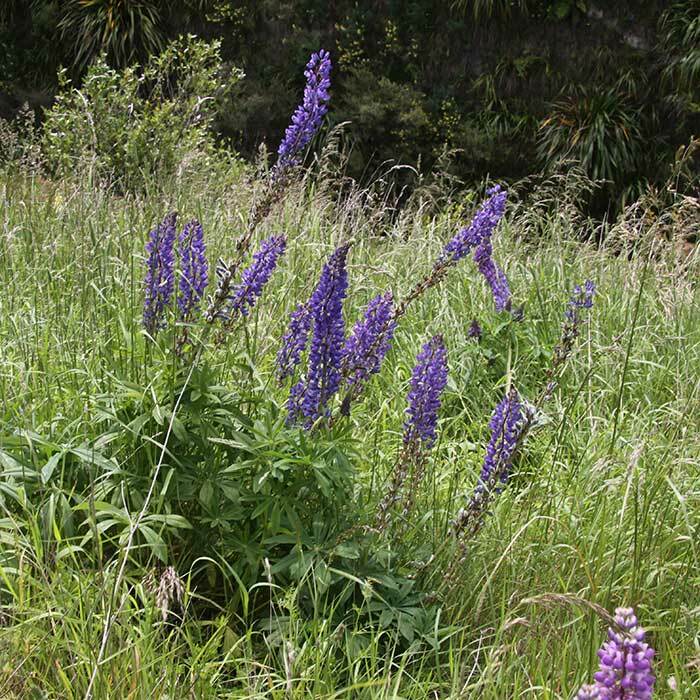 Has been proposed as a useful fodder plant in South Island hill country. 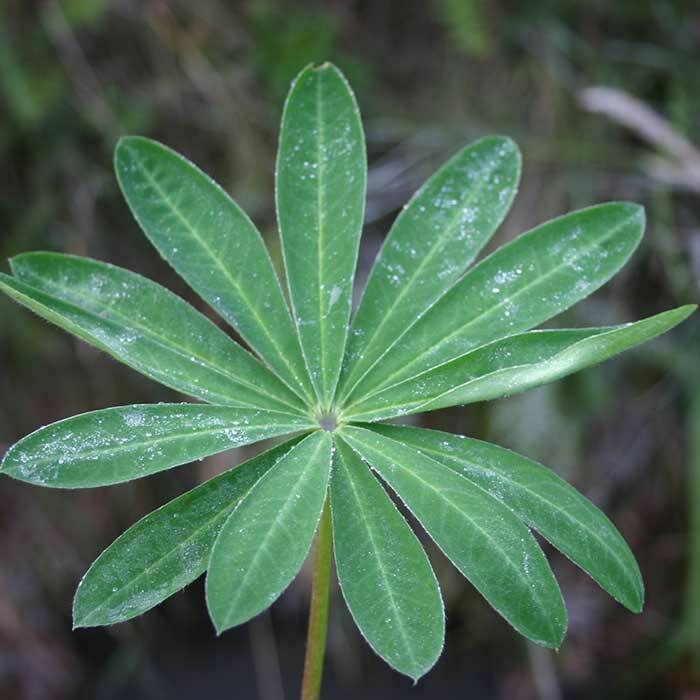 Plants infected by fungus can be poisonous. However, poisoning is rare in New Zealand. 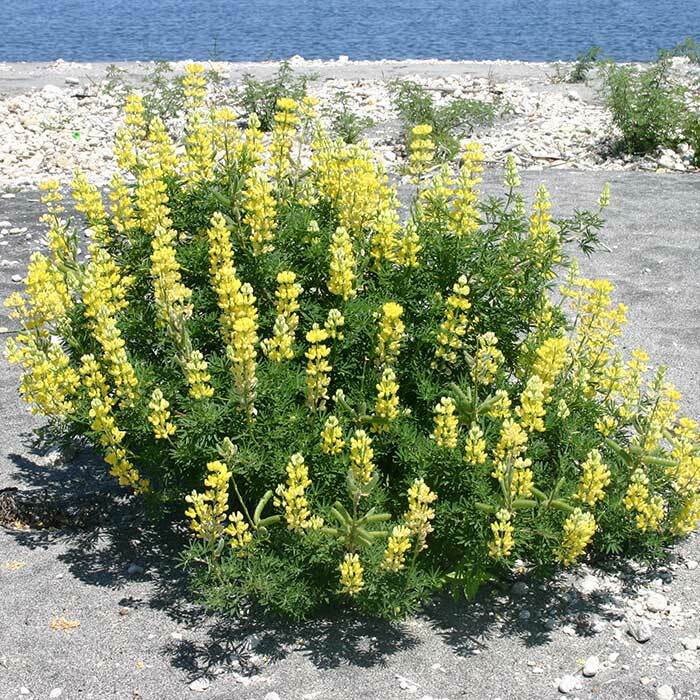 Annual species with bright yellow flowers in distinct whorls on the flower stalk and nine to eleven leaflets on each leaf. 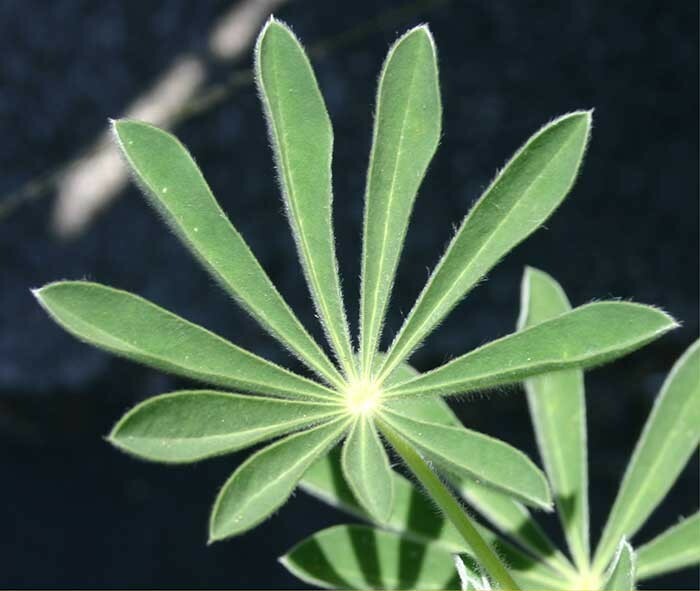 Because of this nitrogen-fixing ability lupins can modify the soils in which they grow, often making soils more suitable for nitrogen-demanding weedy species. The leaves are bitter-tasting and not readily eaten by livestock. 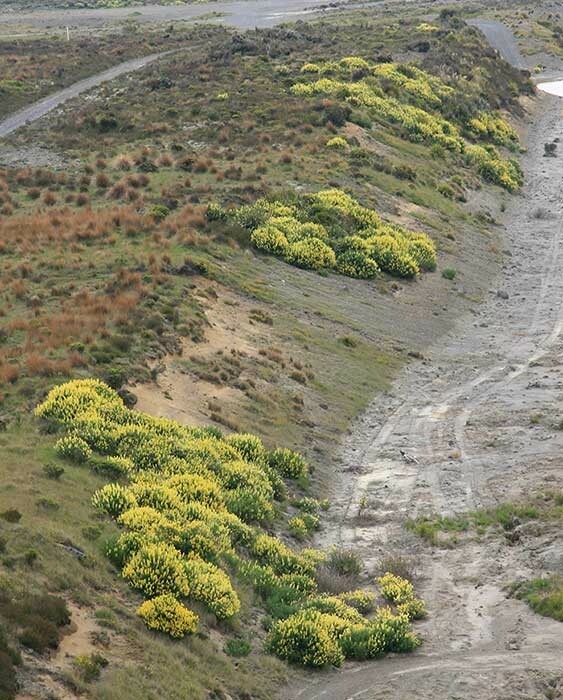 Has become a major problem in conservation areas and in braided river beds, where it can divert river flows and shelter pest animals. 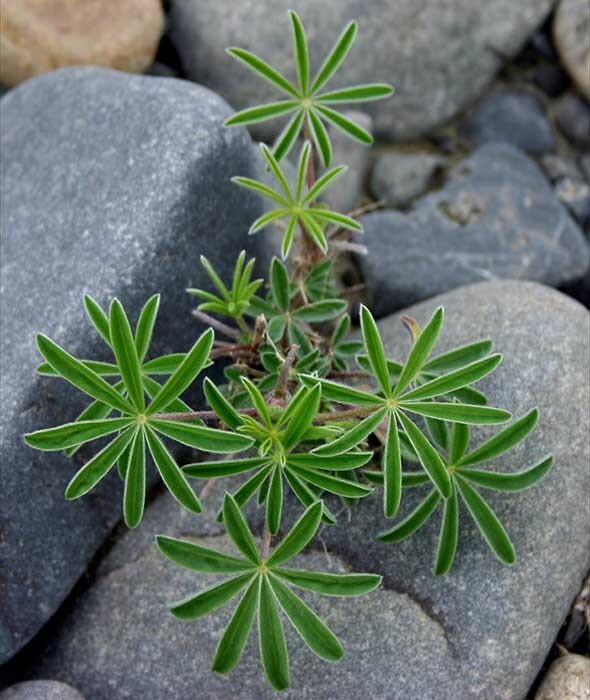 Found naturalised in dry waste places and in river beds, but is not very common. 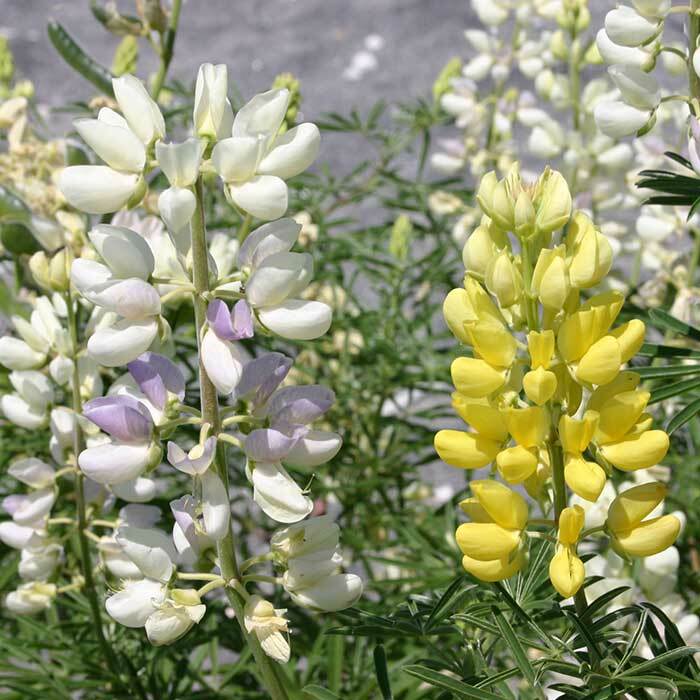 Like most legumes the seeds can survive in the soil for many years. 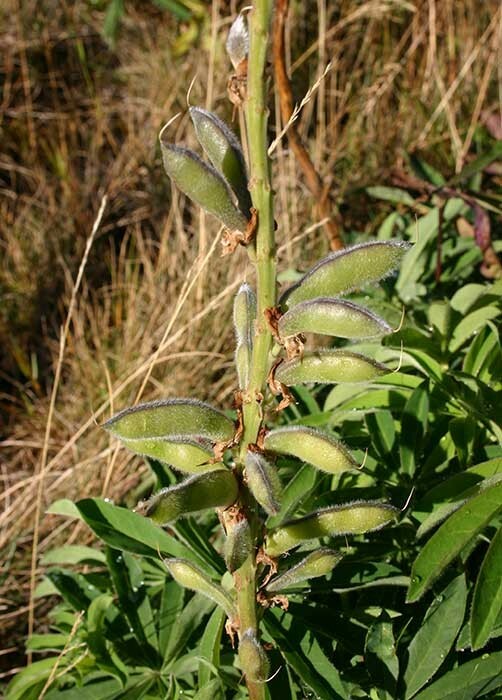 Used as animal fodder crops and green manure because of their nitrogen-fixing capabilities. 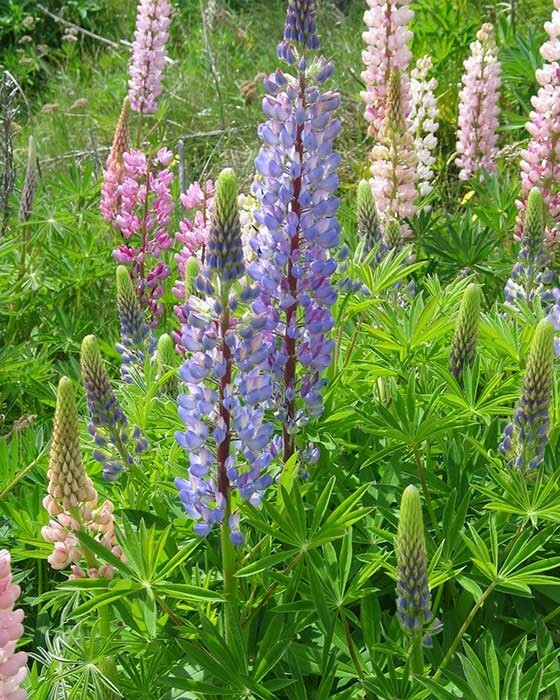 In New Zealand blue lupins are commonly grown in home gardens as a winter crop that is turned in in early spring to improve the soil. 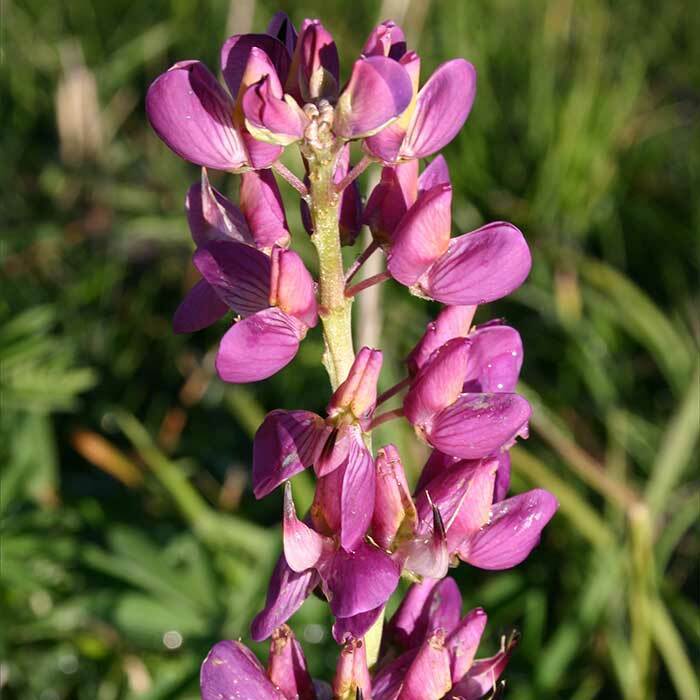 Native birds may not flourish so well in river beds invaded by lupins, especially since the lupins can provide shelter for vermin like rats and stoats and degrade nesting sites. Hand pull or dig small plants and again leave on the site to rot down.